Access these databases with your library card. Full-text database designed to provide students with a series of essays that present multiple sides of a current issue. The database provides information on 120 key topics of interest to Canadian researchers, each with an overview (objective background/description), point (argument), counterpoint (opposing argument), and Critical Thinking Guide. Topics covered include: environment, health, human rights, crime, race, technology, substance abuse, and many more. Career Cruising offers a suite of online career guidance and planning tools designed for people of all ages. Using our tools, you can find the right career, explore education and training options, build your own portfolio, manage your school’s course selection process, or set up a career development network in your community. Learn more about all of these possibilities on our Products page. Access ebooks, audiobooks, journals and more. G1.ca is designed for Ontario learner drivers to help you pass your G1 test. Extremely user-friendly, the site provides free practice tests that imitate the official G1 test in terms of question structure and grading standards. With in-depth information on 175 countries, Global Road Warrior is the world’s most extensive country-by-country resource for learning about culture, travel, history, customs, and language. Categories include: Culture & Society, Greetings & Courtesies, Food & Recipes, and National Symbols. All maps and images can be used in student projects. NoveList Plus has reading recommendations for both fiction and nonfiction, for all ages. NoveList’s expertise in books and reading means that you’ll always get the best help for finding just the right books. Features include Read-alike recommendations, Series information, Award winners, and mood and style lists catered to you. Download digital Audiobooks and eBooks anytime and then transfer to your portable device! This is a project made possible by the Ontario Ministry of Culture’s $15 Million Investment in Public Libraries. The award-winning and critically acclaimed database from Rosen Publishing Online, provides students with curricular support and self-help on topics including diseases, drugs, alcohol, nutrition, fitness, mental health, diversity, family life, and more. 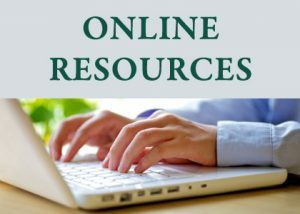 Click here for more online resources.